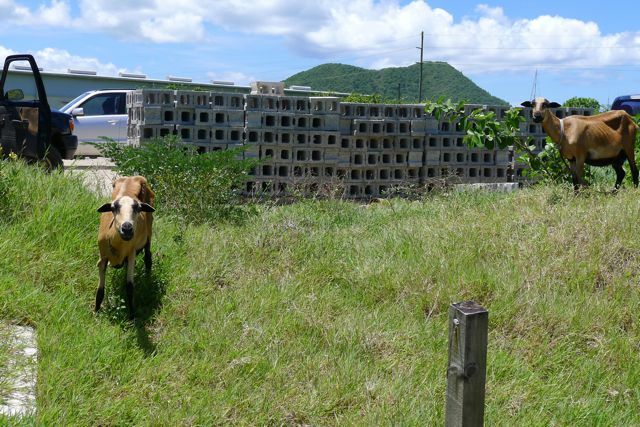 Saint Lucia seems to be the land of lean, if not mean, animals. Not much in the way of fat cats, plump puppies or ponies, big-gutted goats, heavy hens, Rubinesque roosters or curvaceous cows. These four-legged folks are very much part of the landscape. 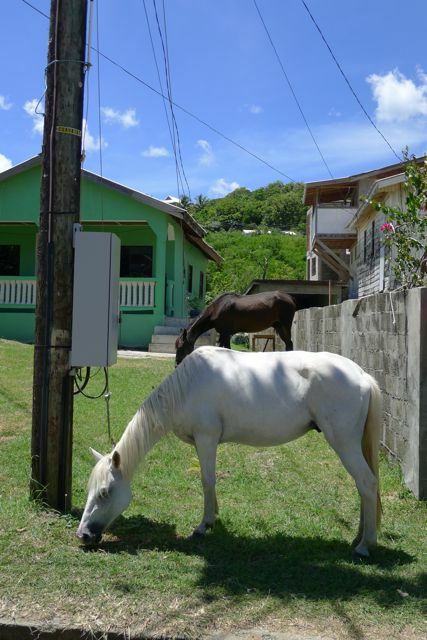 They wander, sometimes freely in yards, across sidewalks and roads, on the beach…. Honestly, we haven’t seen the pigs but we’re guessing they too are more petite that porky, especially since we’ve discovered Streaky Bacon. 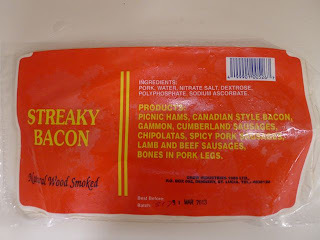 While much of Saint Lucian food doesn’t seem to concern itself with low sugar or lean protein, we’ve become fans of Streaky Bacon, a Saint Lucia product. We’re not sure exactly how lean it is, as Saint Lucian labels don’t appear to require specifying nutritional content. 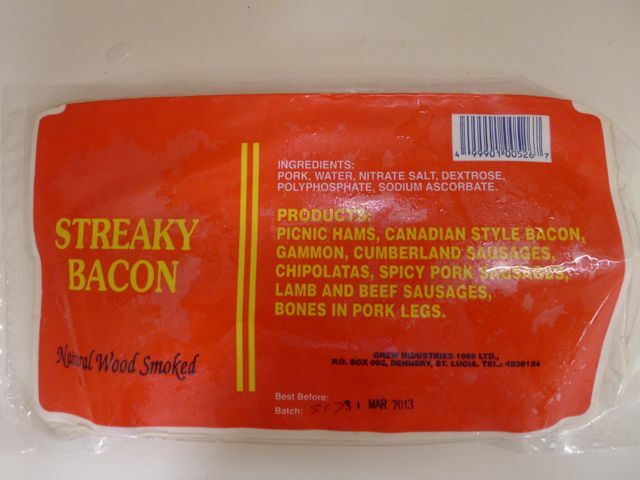 We’re guessing we won’t get Streaky Bacon elsewhere, as they’d include fat content along with the other nutritional info if they were exporting. $8.51 EC with tax for 9 slices. $3.50 or 3 slices for a buck. Streaky Bacon is not cloyingly sweet. 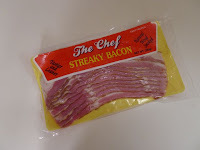 I’m betting I’ll be Jonesin’ for Streaky Bacon much more than I would for an American burger or even pizza. The bummer is, once we leave St. Lucia, that’s the last we’ll see of Streaky Bacon.